Self-service stations are available as hardware-only, giving you the choice to use partner self-checkout software or ours. The self-service stations come turnkey with EnvisionWare’s OneStop™ software that supports barcode patron cards and barcode and RFID detection. 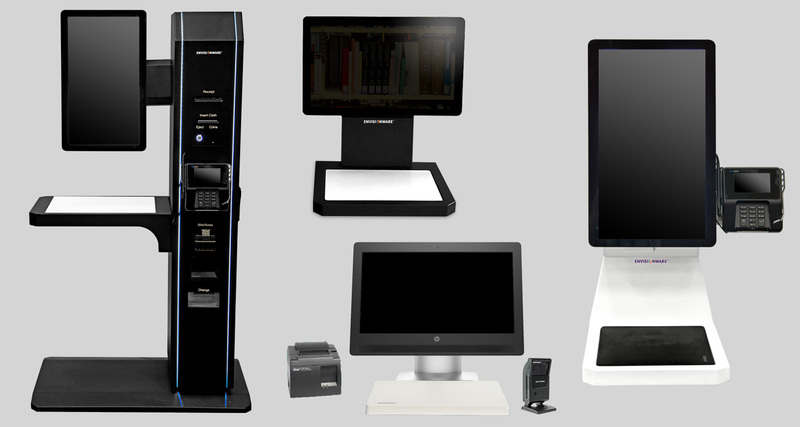 The stations are also available as hardware-only for use with partner self-checkout software.